We are deep into Spring here in northeast Oklahoma and we have lots of rain so one can see why this area is called “Green Country” by some. Pretty soon will come the high temps and humidity but after all these years that doesn’t bother me that much. You learn how to adapt. 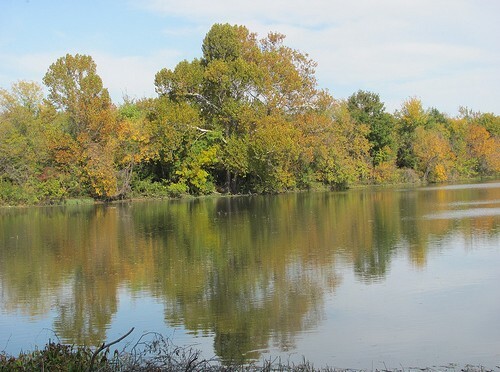 This entry was posted in Watery Wednesday, Watery Wednesdays and tagged Lafortune Park, Oklahoma, Ponds, Tulsa, Water, Water Wednesday on June 1, 2016 by Alan Bates. 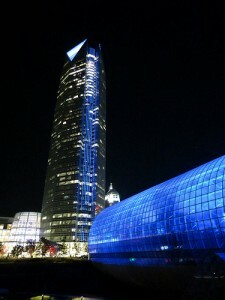 Last week I was in Oklahoma City. 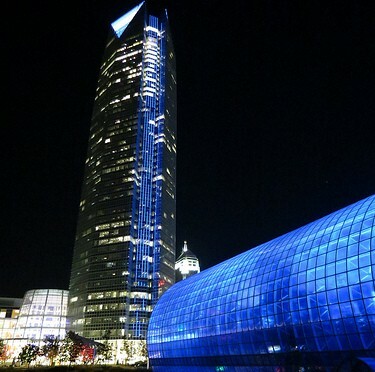 The Devon Tower and the Myriad Garden’s Crystal Bridge made a matching pair that night. 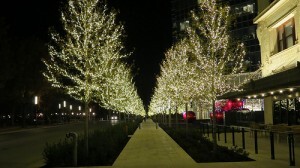 The revamped Myriad Gardens has some very nice areas. There is a temporary ice rink set up. Lots of people skating during the warm evening. I walked a few blocks to the north. 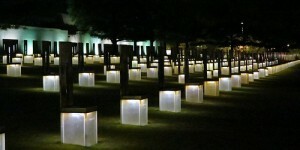 I’ve always wanted to see the Oklahoma City Memorial at night. 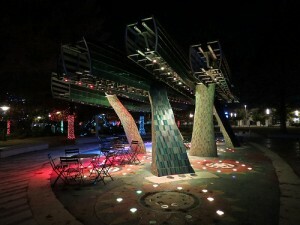 These lights glow year round for the 168 people who lost their lives in the attack. This entry was posted in Devon Tower, Ice rink, Myriad Garden, Oklahoma, Oklahoma City, Oklahoma City Memorial, Watery Wednesdays on December 7, 2012 by Alan Bates. 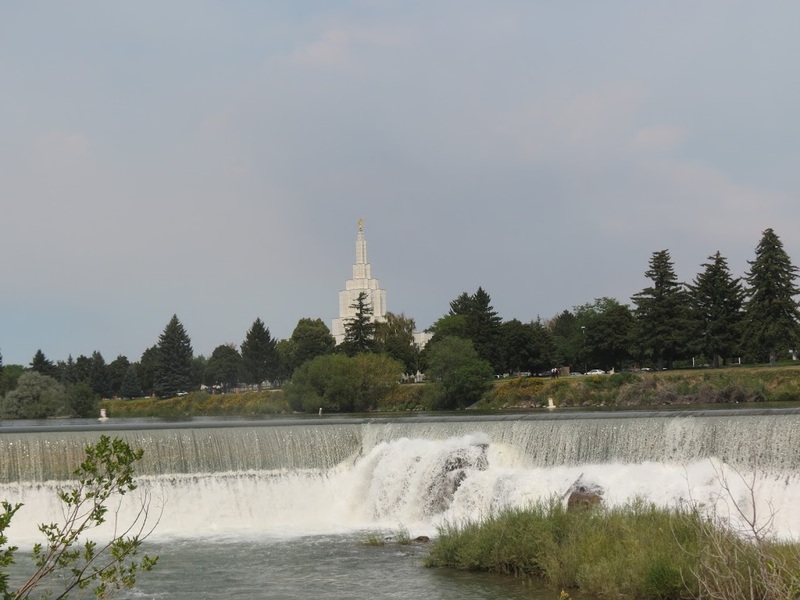 The family just got back from a visit to Idaho Falls, Idaho to visit my father. We had a pretty good time visiting and sightseeing. 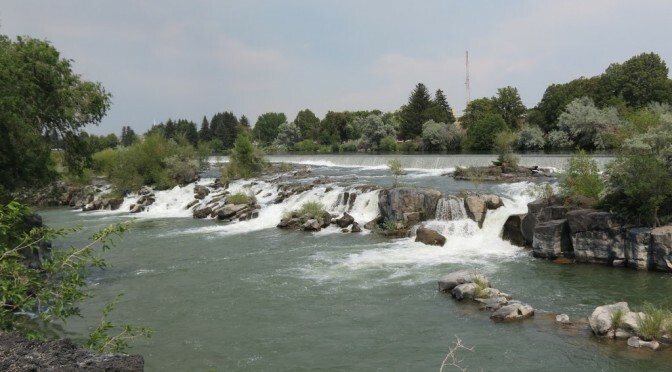 One of the nice things about Idaho Falls are the.. , well the Falls. The Snake River has a natural falls there. The City of Idaho Falls has captured some of that natural elevation difference and diverts some of the water through a bulb turbine to generate electricity. The city has generated electricity off the river since 1900. 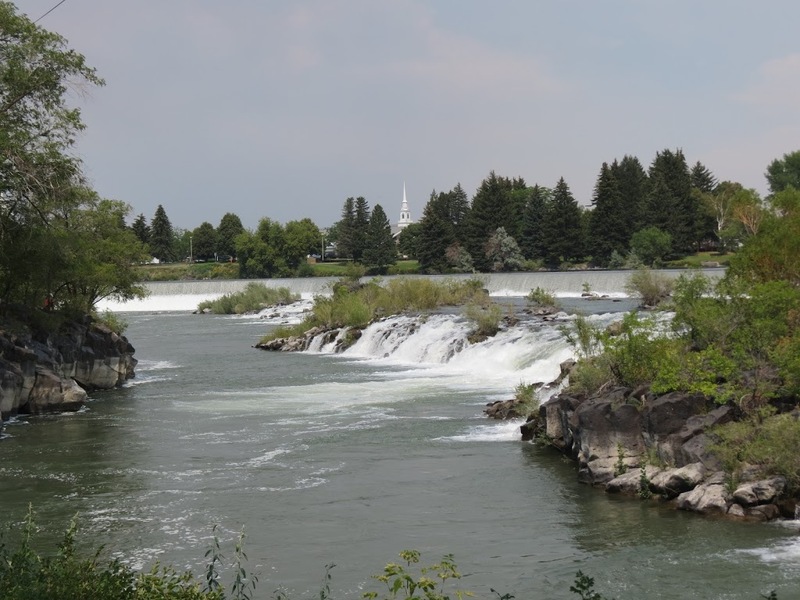 Presently the three bulb generators produce about 100 million kilowatt hours of electricity annually from the nineteen foot elevation across the Falls. 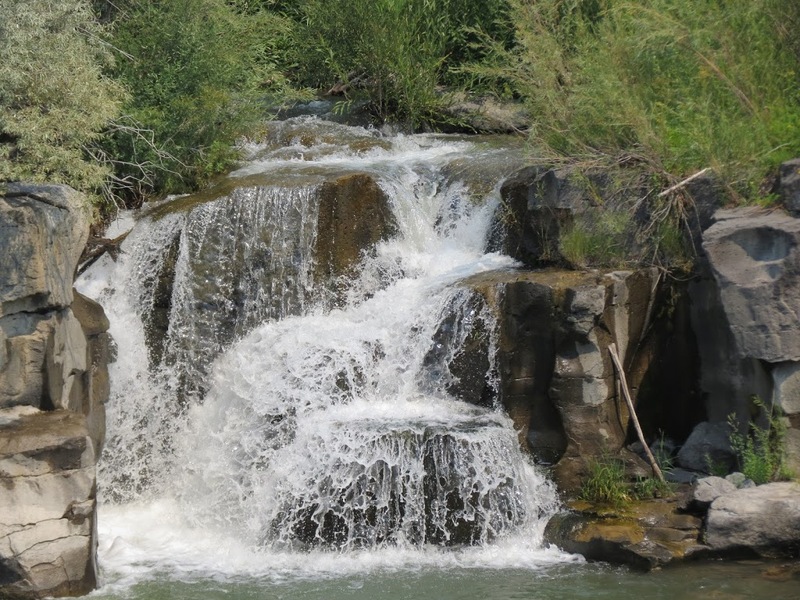 But there is plenty of water for the Falls. 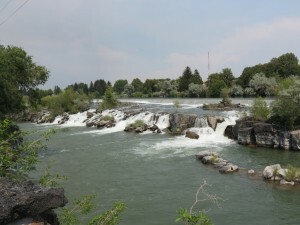 If it were anywhere else it might be a tourist attraction in itself but tourists who Idaho Falls are in a lather to get to the nearby Yellowstone National Park and Grand Teton Park so they whiz right be the Falls. They are missing out is what I say. 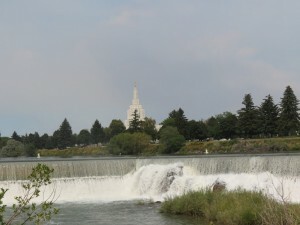 This entry was posted in Electricity, Idaho, Water, Watery Wednesdays on August 1, 2012 by Alan Bates. 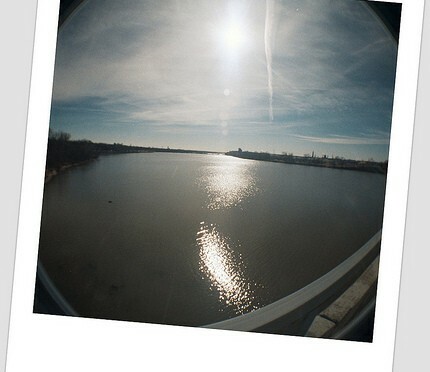 A fisheye view of the Arkansas River as it flows through Tulsa. I love Oklahoma’s big skies during cold, windy, sunny days. 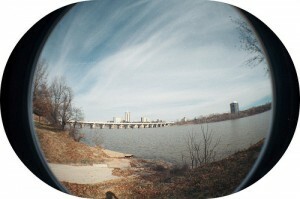 This entry was posted in Arkansas River, Film, Fisheye, Lomography, Watery Wednesdays on February 15, 2012 by Alan Bates. 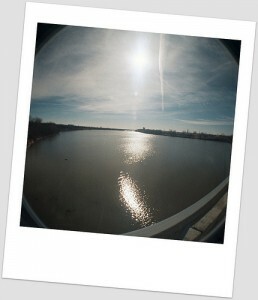 The Arkansas River through my Lomography Fisheye2 Camera. This entry was posted in Film, Lomography, Watery Wednesdays on January 31, 2012 by Alan Bates. 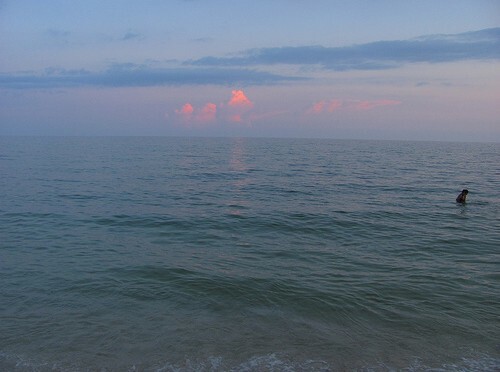 Sorry, I’m missing the Gulf of Mexico. 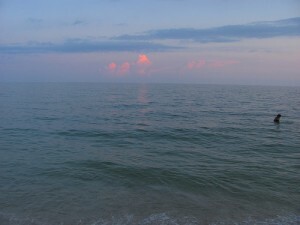 This entry was posted in Beaches, Watery Wednesdays on January 11, 2012 by Alan Bates. 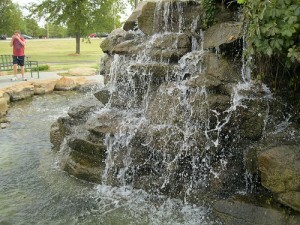 Sunday afternoon we talk a family walk to the Mary K. Oxley Nature Center here in Tulsa, OK. 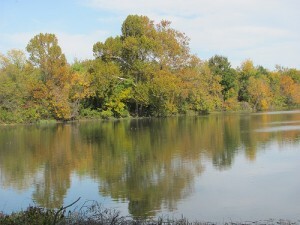 Even though it has been a dry year, there is lots of water at the Nature Center. 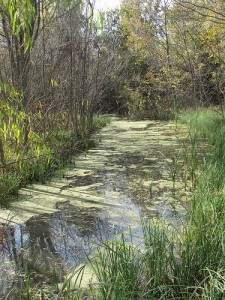 They have lakes, ponds, and sloughs there. 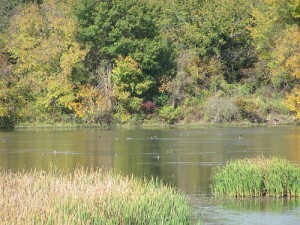 They also have lots of trails, a boardwalk, a few blinds, and an observation tower to view it all. 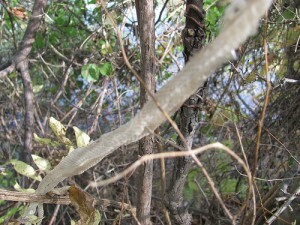 As a bonus Sweetie found a snake skin. I flubbed the focus on the pic. 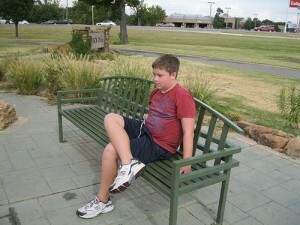 This entry was posted in Watery Wednesdays on November 1, 2011 by Alan Bates. Downtown Tulsa reflected on the Arkansas River. 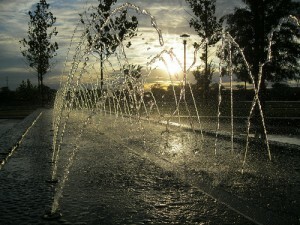 This entry was posted in Watery Wednesdays on October 5, 2011 by Alan Bates. SuperPizzaBoy and I call this the River Bear Fountain. I have no idea what the official name is. 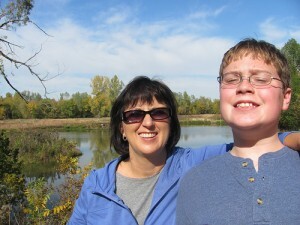 It is on the Arkansas River trails at 71st and Riverside. SPB and I have been resting here on our jaunt’s since he was one year old and I was pushing him along in baby stroller. A few more years he may be pushing me along! 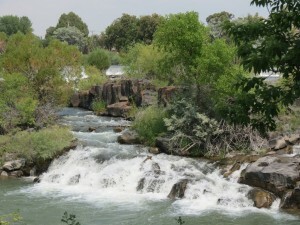 This entry was posted in Watery Wednesdays on September 28, 2011 by Alan Bates. 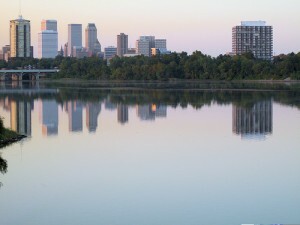 Last Wednesday I ran after work along the Arkansas River here in Tulsa. 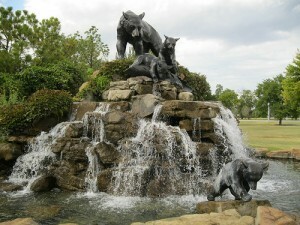 I noticed a couple of new water features at a play park. That might have been there for years but they were new to me! 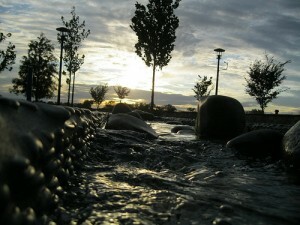 Something about water resonates with us. Maybe because we are so dependent on it. 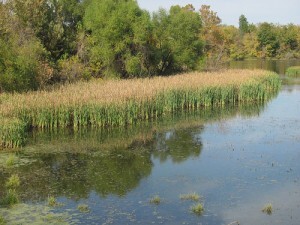 This entry was posted in Watery Wednesdays on September 13, 2011 by Alan Bates.